On Wednesday, ESPN reported that UFC light heavyweight champion Jon Jones would defend his title against fast rising contender Thiago Santos while women's bantam and featherweight champion Amanda Nunes would defend her 135-pound strap against former titleholder Holly Holm. The announcement comes just hours after Jones teased the idea of moving up to heavyweight and challenging Stipe Miocic on this same card. 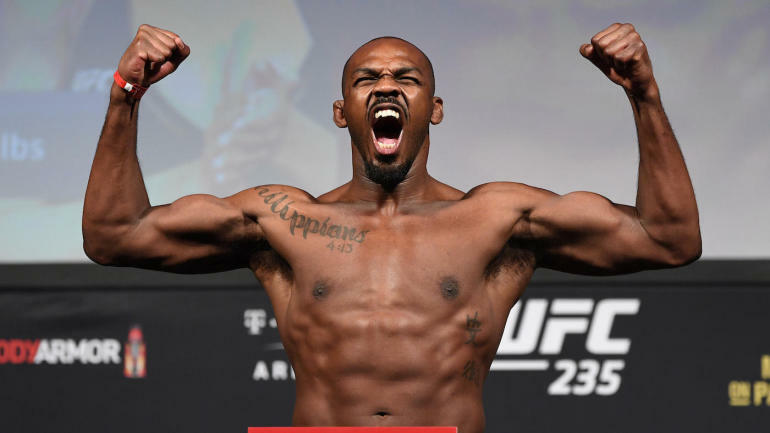 Jones (24-1) is coming off a decision victory over Anthony Smith in March after stopping Alexander Gustafsson in December to reclaim the title he has never lost in action. Santos (21-6), meanwhile, has been on an absolute tear since moving up to 205 pounds, with stoppage wins over Jimi Manuwa and Jan Blachowicz in his last two fights. Nunes (17-4) is coming off one of the biggest upsets in recent memory when she knocked out Cris Cyborg in under two minutes to claim the 145-pound title. Holm (12-4), meanwhile, is coming off a decision win over Megan Anderson last June and is 2-4 overall since beating Ronda Rousey for the bantamweight crown in 2015.